For this reason, our goal is to increase our presence in the high-potential local pharmacies and, in turn, enhance our market position. The day-to-day business of sales representatives involves permanently adapting to visit frequencies. Moreover, they concentrate on the pharmacies that are relevant for Boehringer Ingelheim and visit them at fixed intervals. For this reason, Frank Geßner‘s team started by defining which pharmacies had to be visited by the sales representatives with which frequency, and then proceeded to split up the sales territory into new regions. This was the foundation for the task of drawing up a detailed trip plan. “Due to the varying number of visits per customer and per year, trip planning is much more complex than many people imagine. Which is why it was important for us that we supported our employees with a professional solution in this area,” explains Geßner. PTV AG was entrusted with the task. The basis for trip planning was the new assignment of sales representatives to the selected pharmacies. They have to be visited regularly, with sales calls at intervals defined by Boehringer Ingelheim. Specifically, we plan several blocks of visits annually, each focusing on a different topic to be discussed with customers. However, not every customer is contacted for every trip. Following an analysis of the company, PTV AG implemented PTV Map&Market premium software to perform the complex task. Specifically developed for sales force planning, the software can optimally define sales regions and plan strategic sales force trips at regular intervals. Moreover, the data can be presented and analysed on high-quality maps. When planning trips, Map&Market takes into account the requirements and restrictions specific to each target group as well as variations in opening hours, call frequencies, fixed appointments and much more. The software enhances flexibility and transparency by providing a rapid simulation of different planning scenarios. Planning and analysis is carried out on the basis of kilometres driven, driving times and travelling costs. Boehringer Ingelheim is another successful project implemented by PTV AG for the pharmaceutical industry. With PTV Map&Market premium, a software has been implemented that is able to perfectly meet the requirements of both the pharmaceutical manufacturer and the pharmacists. “Thanks to PTV, our employees now have support at hand that is clearly more efficient than the former process of planning trips manually and individually. As a result, we spend less time on the roads and more time visiting our customers,” enthuses Frank Geßner. “After initial doubts, the sales representatives were completely convinced by the result – in the past they planned their trips from the gut.” As trip planning is constantly subject to change – for example due to the retirement of employees, extension of the sales force or selection of additional pharmacies – Boehringer Ingelheim will continue to work with PTV. “In the future, our field team will jointly provide trip planning services with PTV,” says Frank Geßner. 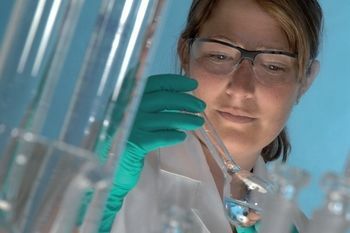 A family-owned company, Boehringer Ingelheim is ranked in the top 11 in the pharmaceutical industry in Germany. Founded in 1885, today it is one of the most research-intensive companies in the world. A total of 41,534 employees work in its 142 associated companies, both in Germany and abroad. Boehringer Ingelheim‘s business divisions are human pharmaceuticals with the segments prescription drugs, self-medication and industrial customer business (biopharmaceuticals, pharmaceutical production and pharma chemicals) and animal health.